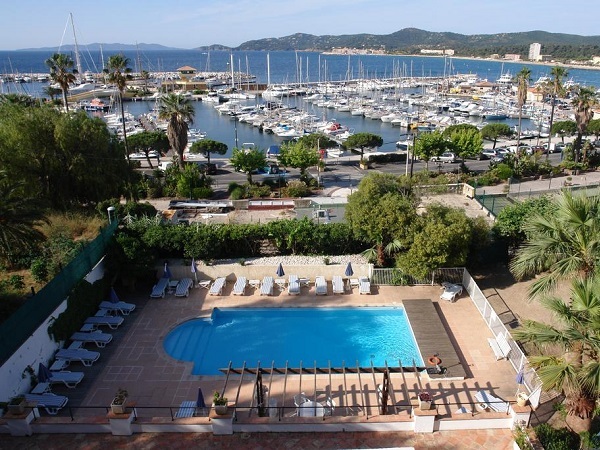 The hotel is in a fantastic location, just steps from the port and marina, yet also only a 2 minute walk to the centre of Le Lavandou, with its charming narrow streets and alleyways to explore, with the backdrop of the Massif de Maures behind. Alternatively, simply relax and socialise on a sun lounger by the attractive pool overlooking the crystal clear azure blue sea that gives this region its name, sipping a cool drink from the on-site bar, while watching the world go by. Or take advantage of the comfortable sun room back in the hotel if you fancy a bit more shade, but still want the incredible views. Alternatively, you could take a stroll around the beautiful gardens to stretch your legs, after a day in the saddle. Either way, there is plenty to do when not out riding in this beautiful area. There are 30 rooms (1 to 3 people) and 3 apartments (4 to 6 people), decorated in a contemporary style. 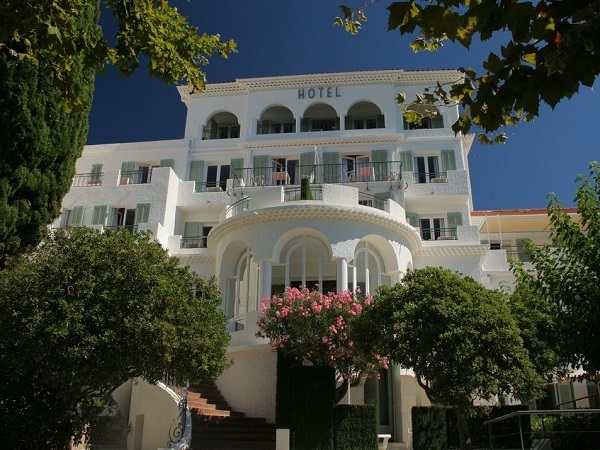 All rooms are air-conditioned and have a balcony or terrace with a panoramic view looking out to the sea and the Iles d’Or. Twin beds can be available in some rooms on request. Amenities include reversible air-conditioning, a flat screen television with satellite channels, a telephone, safe and hair dryer (on request). Triple rooms also come with a fridge. 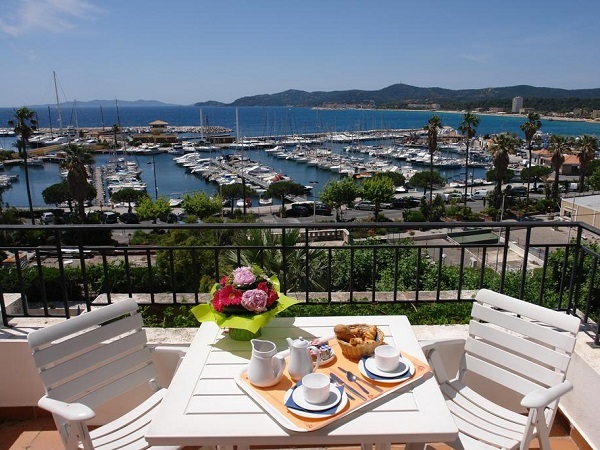 Auberge de la Calanque features free WiFi throughout the property. When not lounging by the pool or taking a dip, you can enjoy a stroll through the lush Mediterranean gardens surrounding the hotel, or sit up in the large sun room to appreciate the far-reaching views. There is also a bar for guests, for when you want to socialise with friends, old and new. A continental buffet breakfast is served daily in the sunny breakfast room, and can also be taken in the comfort of your guest room, to enjoy on your own private terrace or balcony. Wine and additional drinks from Auberge de la Calanque or the restaurants are purchased on an individual basis, again payable directly. 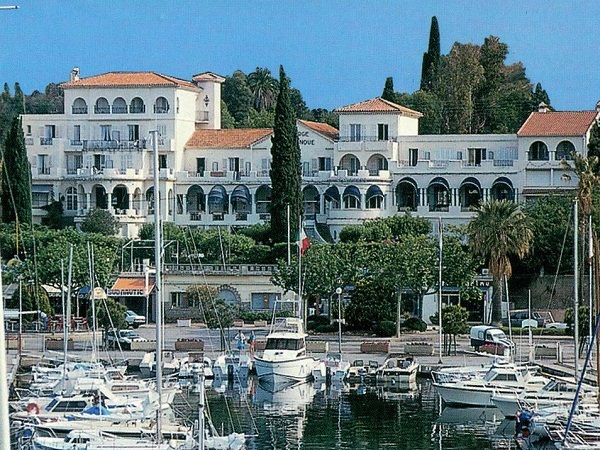 The hotel is well-located right by the port and marina, yet only a 2 minute walk from the heart of Le Lavandou, its winding streets, harbour and 12 beaches. Word-of-mouth recommendations are important to us. You can see many reviews from guests who’ve stayed at the Auberge de la Calanque on Trip Advisor here >>>. Want to stay with us at the Auberge de la Calanque... ?